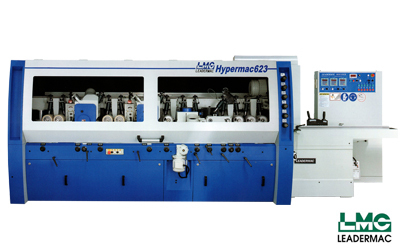 The leadermac HSM series is a cost-effective Hand Sraped Flooring Machine. 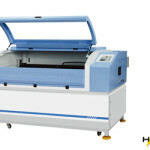 Its high feed rates of up 30m/min have been enhanced to bring productivity to a new level. 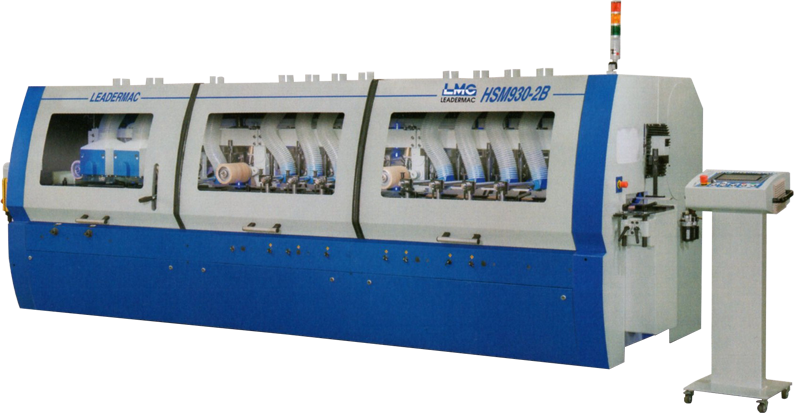 With spindles driven by servo motor, the HSM series will fully exhibit high precision and high efficiency scraping performance. 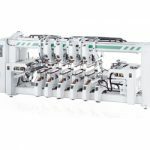 The series of machine is equipped with an advanced controller, making scraping operation easier. The feed rollers are driven through a combination of extra heavy universal shafts and Gearboxes, ensuring no loss of power transmission. A smooth feeding effect is assured. The heavy duty gearboxes have no backlash and provide powerful and accurate feeding performance. 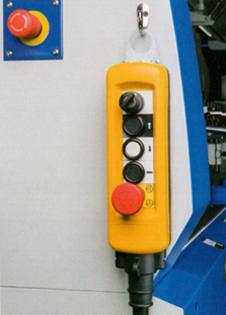 An emergency stop switch is also provided at the outfeed end. 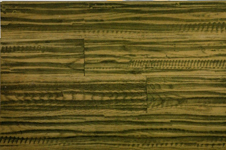 The side pressure located at the infeed end holds wood stably, allowing the wood to feed into the machine staright. 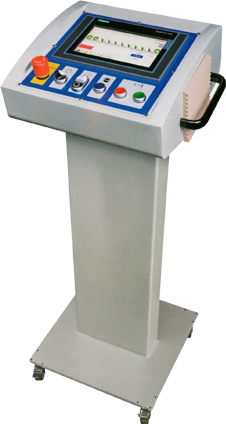 The HSM series employs a high performance PLC control combined with a touch sensing screen, allowing operation to be controlled with ease. 15” automatic human-machine interfacing control. Separately mounted control allows for moving to any position for added convenience of operation. Available to equip with Ethernet system for far-end monitoring or program modification in the world. Feed speeds of up to 30m/min. Provide high productivity. 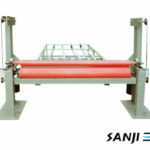 Automatic scraping spindles coupled with manual scraping spindle for producing patterns as desired. All serrated rollers on bottom and rubber rollers on top. 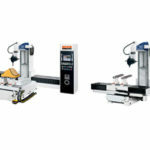 Pneumatic pressure on pressure rollers can be easily set to provide an outstandingfeeding effect. 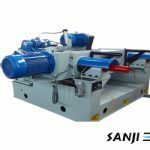 The feed rollers are driven by universal shafts and gearboxes for no loss of power transmission, and featuring no backlash, powerful and accurate feeding. 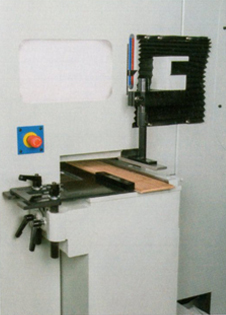 The powered outfeed rollers provide stable and smooth workpiece outfeed. 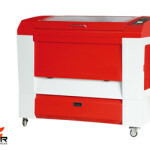 Table surface are hard chrome plated for maximum wear-resistance. All manually adjusted and turning parts are housed in grease lubricated bearings for oil-free lubrication. The full safety enclosure serves as a chip guard and helps to reduce noise. 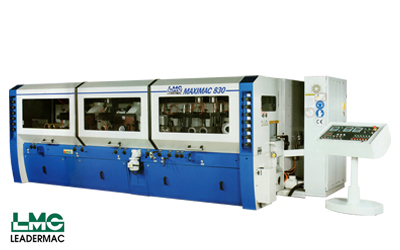 Extra heavy one-piece, steel weldment machine frame is specially heat treated for maximum stability and rigidity. 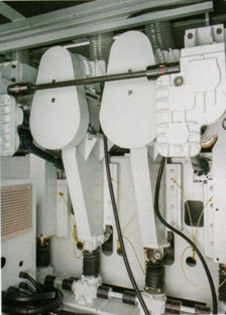 Automatic lubricator is provided to supply lubrication oil to the feed table. 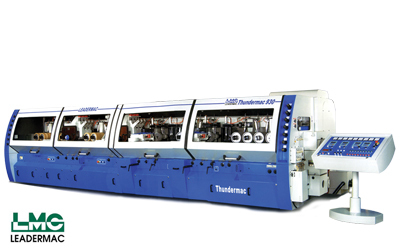 Working width 3" 12" 3" 12" 3" 12"
Thundermac series akan memperlihatkan Anda cara untuk meningkatkan produktifitas planer/moulding Anda. LMC Maximac series adalah mesin serut 4 sisi dengan fitur berkualitas untuk menambah nilai produksi Anda. LMC Hypermac series memiliki fitur berkualitas untuk menambahkan nilai lebih pada hasil produksi Anda.